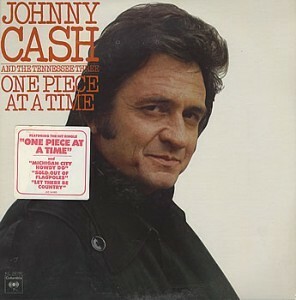 After a few years without any significant chart success, Cash had a mild comeback with One Piece at a Time and its title track single. The album features a mixture of ballads and bouncy, novelty-inflected, up-tempo numbers. Easily the best thing here is the title track, a rollicking tale of an auto worker pilfering parts to assemble his dream automobile, only to have things go comically awry. It’s the best known Cash single of the 1970s, and for good reason. The piano riff was lifted from somewhere else, though the source eludes me at the moment. Overall, this one is decent if a little bland. Sort of a top of the third tier Cash album.